This is truly a dark day for fans of Cher and her Grammy-winning music. 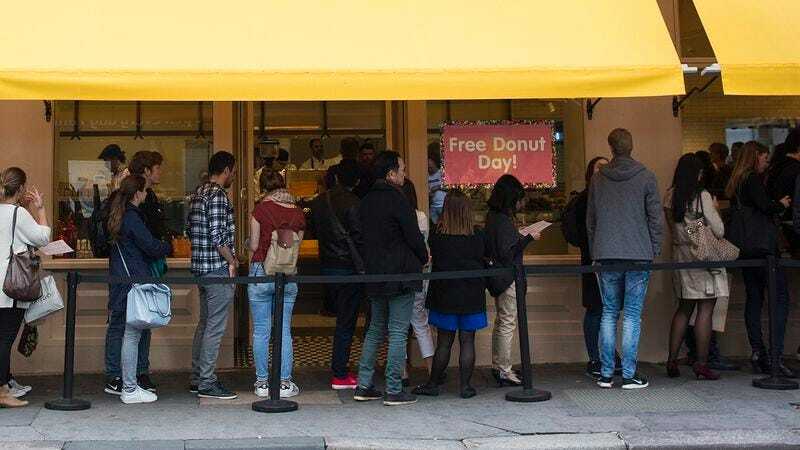 After failing to attend Sweet Cakes Bakery’s free donut day in her hometown of Los Angeles, Cher has certainly passed away, because there’s just no good reason to turn down a free donut. R.I.P., Cher. She was 72 years old. The beloved entertainer, who had a successful career in both music and film, was first feared sick or incapacitated when she still had not come by to pick up a free donut by early afternoon. But when the bakery closed its doors at 6 p.m. without a single sighting of Cher, there was no doubt about it: Cher was gone. What a tragedy. The world just lost a legend. Sweet Cakes Bakery has a comprehensive selection of donuts, from Boston creams and apple fritters to maple bars and even the classic glazed, so there’s no way it wasn’t offering Cher’s favorite flavor during its all-day deal. There’s simply no reason other than death for Cher to not have at least swung by the bakery on her way home from work to grab a donut, especially given that Sweet Cakes was really good at keeping the line moving, and, um, did we mention the donuts were free? If there’s anything that makes this tragedy even sadder, it’s that Cher wasn’t able to enjoy one last free donut before her untimely passing. Do you believe in life after love? We sure hope so, for Cher’s sake. Rest easy, sweet songstress. We’ll miss you.